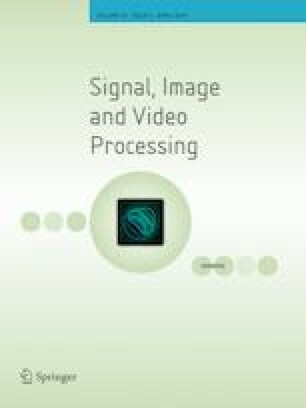 The problem of estimating the center frequency and the chirp rate of multi-component chirp signals from data corrupted with colored noise often occurs in many signal processing applications. In the Bayesian framework, an algorithm based on adaptive importance sampling (AIS) and modified discrete chirp Fourier transform (MDCFT) was introduced in the present paper in order to calculate the center frequency and the chirp rate of chirp signals from observations corrupted by additive autoregressive (AR) random noise. First, importance functions (IFs) were constructed to approximate the marginal posterior distributions of interested parameters with observed data, and AIS was then employed to evaluate the posterior distributions. MDCFT was adopted to detect the spectral peaks of chirp signals, and the obtained results were applied to construct IFs with multivariate student-t distribution. It was found that the quality of the samples generated from multivariate student-t distribution was gradually improved. Finally, computer simulations validated the results obtained from the proposed algorithm. In comparison with the Markov chain-based method, the proposed method had better SNR adaptability and excellent convergence rate and required fewer samples. Furthermore, the proposed algorithm can be considered as a further expansion of previous works related to AIS method for estimating multi-component chirp signal parameters in white noise.